EDIT: Second Episode is officially announced, so tell your friends, family, or whoever, that it'll be uploaded soon! 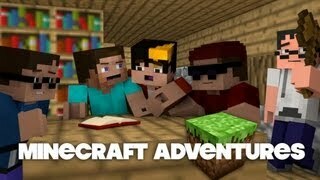 Rj, Jeremy, Vincent, and Martin go into a virtual adventure in Minecraft! This is Rj's first animation ever too! This project took 4 months to make, but it was worth it! But the question is... Can you find all the errors and easter eggs in the video?? ?